I keep it on a shelf in my bedroom closet. As someone who still does my laundry at laundry mats, these are indispensable! I load them up with empty hangers and take them with me. I can easily get a hangar off as needed without them being all tangled up from tossing them into a bag or basket. 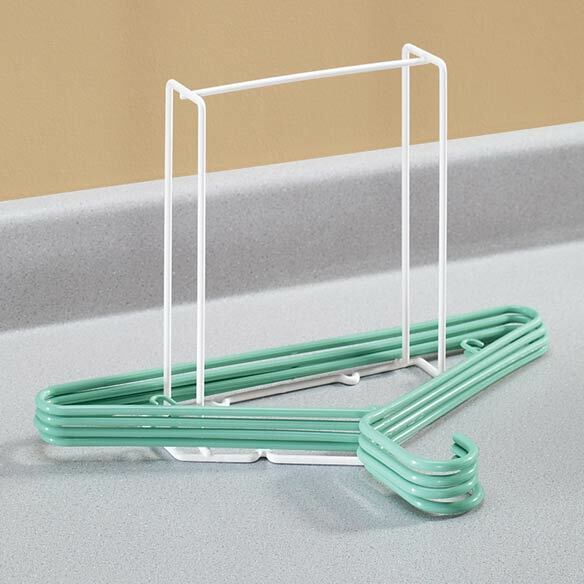 Use to corral loose hangers in one place. I love that it keeps them in place, no slipping around or falling. I have no complaints except there are occasional hangers that don't fit. This keeps my hangers organized in the laundry room, I used to hang them on the door handles on the cabinets. This is much neater, I haven't decided if I want to hang it up yet, I have it sitting on top of my dryer for now. I use it upright and leave it on the dryer when the clothes come out. Don't have to get frustrated over tangled hangers anymore. My hanger storage rack sits on top of the dryer. When I need a hanger, one is handy. When my supply of hangers is low, I can place one rack inside the other - and now I have room for 30 hangers. Ordering two today for a friend who noticed mine. I am buying this again! Sized right for apartment closet! I have two of these and they are great! One is on the floor in my closet. As I take clothes off the hanger, I put it on the holder. When it is time to do laundry, I take the hanger holder from the closet into the laundry room and put the empty one in the closet. It works really well for me! I highly recommend these hanger holders! I had all my hangers throw in a laundry basket in the garage an now they are so easy to get at when I need some!! Worked out great for what I wanted it to be. No more tingle up just nice an neat!! I would buy this product again and again, which I did. Very sturdy and love to give as gifts. Good quality not likely to break. Great to organize hangers to prevent tangling and make a wise use of space. Occasionally a wire hanger will fall off from the bottom but it's not often and it's not a big deal. I bought some for my MIL and brother I love them so much. Sturdy. I did not realize just how much this was going to help get my hangers organized until I bought them. I ordered two, and would order more if needed; I just wish I had bought them earlier. If you have hangers taking up space or just thrown somewhere, GET a couple or more of these; hang them up is the best way to use them. This fits in my closet very nicely and is easy to store the hangers on. It keeps everything nice and organized. Looking for this item for a year !! Saw this type rack 3 to 4 yrs. ago in chrome and didn't think I needed it. A year ago I decided I really needed it and began looking, couldn't find one. Was elated when I saw it in catalog. I HAD MY EXTRA HANGERS SITTING IN A BOX. A TOTAL MESS. I LOVE THIS. THEY ARE ALL ORGANIZED AND NEAT. I KEEP IT ON THE FLOOR OF MY CLOSET. IT LOOKS SO NICE AND EASY TO GET TO. This corrals bunches of extra hangers that were scattered everywhere. Great. Finally a Place for Stray Hangers!!! I am tired of tripping over random hangers. I am excited to give these storage racks a try. They came with hanging hardware. We bought two. Worth the money. These are hard to find. Buy more than one. Once you have one, you'll be lost without it. great for hanging extra hangers on. Helped me organize a hanger mess! Like a lot of other people, I used to put extra hangers in paper bags or just in a corner. I bought two of these hanger storage racks, and WHAT A DIFFERENCE!!! I now have more storage and places to put things in the laundry room, and have instant access to whatever extra hanger I need. I have them mounted on the wall, out of the way of other things. If you need some hanger organization, get at least a couple of this item. I find this is the perfect design for collecting stray hangers and eliminating hanger clutter. I will probably buy more and have one in each closet. I like the fact that rack can be mounted on the wall although I find sitting on the floor works quite well. I'm moving, and this held all my hangers nice in a box. I put in our closet so when we take clothes off the hangers they get stored. Keeps the closet clean and I can grab all the hangers at once on ironing day. Ideal for collecting the shirt hangers for return to the laundry. Great design! Great product! Like so many other reviewers I suffered from hangar frustration. This great product has cured my daily frustration with hangars! Sounds silly but as so many have attested, "It works!" Thank you Walter Drake! Finally a place to keep my unused hangers in bedrooms and laundry room. In bedroom closet so I can find hangers easily. By the washer and dryer for clothing that doesn't go in the dryer. No more lost hangars behind dryer. I have hung all hangars on clothesline above washer/dryer in utility room. On occasion a hangar falls behind the dryer and is not easy to retrieve. Now I keep all hangars on this storage rack and place the rack on top of the dryer. Viola! No more lost hangars. No more "bumping" head in the hanging hangars. I bought this product when I got tired off having to take a pile of hangers down to the laundry room. It didn't matter how carefully I separated them beforehand, I always had to untangle some of them as I took clothes out of the dryer. Now, I slip them on the rack and carry them easily downstairs. It is much easier to hang up clothes as I take them out of the dryer. Disadvantages: Some slightly smaller hangers barely fit on the rack, so they don't slide on and off as easily. Of course, the rack is of no use for hangers that don't have a crossbar at the bottom. I was getting tired of having to untangle the wad of hangers that accummulated over the course of a week until I invested in one of these. When it arrived, I admit - I was underwhelmed. It seemed sort of flimsy and there was no way to carry it from the bedroom(where the hangers accummulate) to the laundry room (where clothes need to be hung up). But, given the amount of effort requred to return it, I chose to give it a shot anyway and - wow! Now the hangers are nice and neat and I don't have to do any wrangling at all to get them apart. I'm lovin' it that this problem is SOLVED! Simple design that works. I put mine up in laundry room so that I would have hangers available when I needed them rather than having to go through closets looking for empty hangers. You can mount it on the wall or table depending on available space. 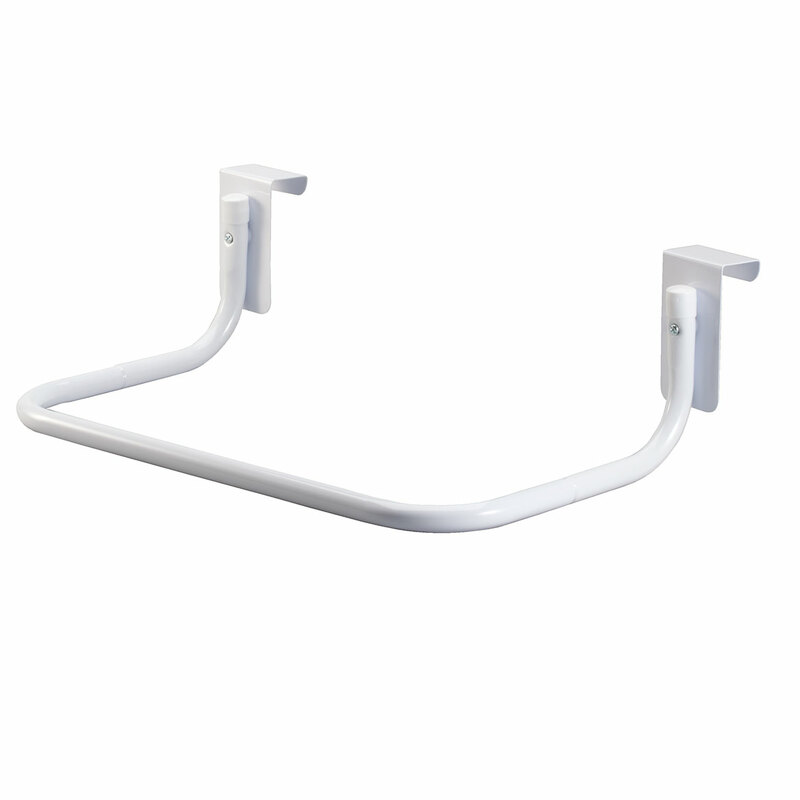 Very easy to install and holds a lot of hangers. It was exactly what I needed. Finally, my hangers stay put and no getting tangled. It works!!! It serves its purpose well. It works!! It serves its purpose well. Great design to fit in a laundry room to keep all the hangers in one place instead of lying on shelves or tucked in corners. Great for getting organized. keep hangers neat and tidy. Wish it came in various heights. No more hangers all over the floor! An answer to a problem I had! holds hangers so well, out of the way. Don't overload it, just buy a few. BUT the screws that came with the unit are worthless, it fell right off the wall, hangers everywhere. Just longer screws. or just set on a flat surface. it makes it easy to keep empty hangers out of the way & handy for use. Rack works nicely, needs longer screws. Included screws were almost too short to mount rack securely. I had to throw it away because it doesn't hold hangers that have the hooks on the inside of the hanger. I tried but for something like this it should be easy not a task. I was really excited about getting this because my hangers are a mess! So, needless to say I was very sad that it didn't work and had to toss it. It didn't seem worth it to spend the postage on returning the item. Unstable, Do-Not Try To Move! I'm Disabled and sure was Hoping this Gizmo would end my entangled mess of Hangers. Imagine my expression when the thing came apart. You cannot overload the product. I Used it as directed. To organize hangers in one place. My closet is always evolving and I'm hoping this hanger caddie, which will be wall mounted in the vicinity of the hanging rods, will serve as an orderly depository for hangers not in use. Who on this earth doesn't want a rack to store their hangers? This is a unique product and a unique idea. And that is why I bought it! To encourage my family to pick up their empty racks! Good way to keep hangers neatly stored while not in use. I need something to "control" my loose hangers. Need an out of the way place to store hangers in my small laundry room. looked like a good way to keep my hangers organized...and it really worked so well, I bought a second one! I have extra hangers all over the place. Hope this will help me get them organized once and for all. Need for extra hanger storage. I bought this and don't even use it. I like the fact that I could mount it on the wall in my laundry room if I so choose. Intrigued - liked the reviews. Ordered two. Handy way to organize hangers in my laundry room. I have one of my own and like that it keeps all my empty hangers in one place. I bought these for my daughters for Christmas. My hangers are all over the floor! I resell clothing and need extra hangers for all the steps of cleaning, steaming and storing, but always have hangers laying around. Went to pinterest and voila! there is was! I have lots of plastic hangers & I want to store them right now. Looks like it will help round up and store my hangers! I had hangers every where in my laundry room. Just thought this will stay in one place. I have lot of hangers and they need to be organized I'm pretty sure I'm going to buy more in the near future. Will be very handy. My hangers always get tangeled. I needed some how to store my hangers. I have a small laundry area and the hanger storage should help keep things at a good height to work from. Approximately how many hangers can each rack hold? Trying to figure out how many I'll need. BEST ANSWER: It will hold at least 25 - 30 wire hangers. I don't use the plastic hangers but I'm pretty sure 20 or less of those. Works great for transfering from the bedroom to the laundry room. Thank you for your question. 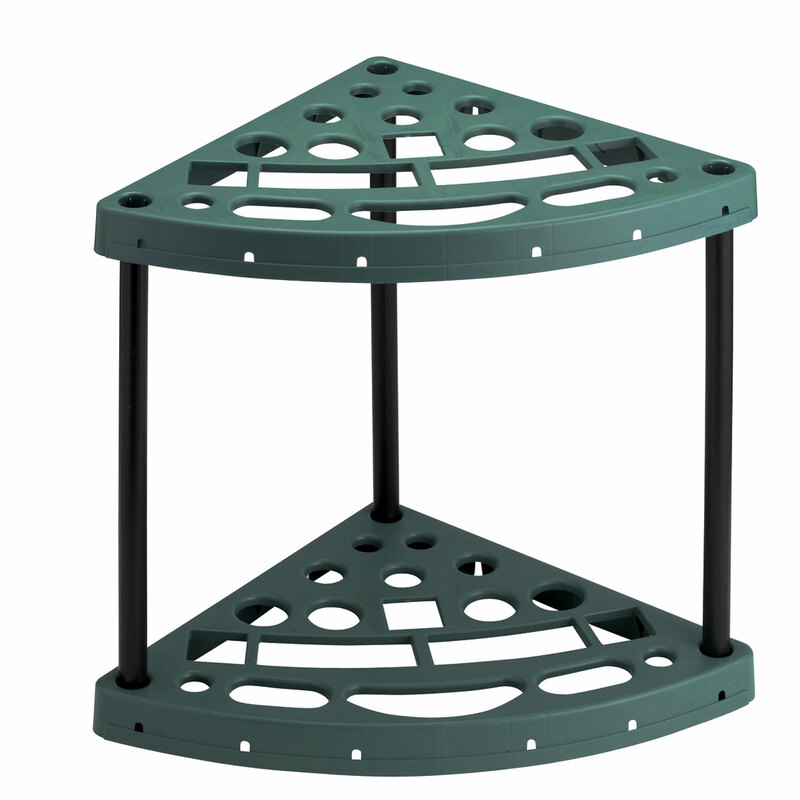 The hanger storage rack is designed to hold approximately 30 plastic hangers or 100 metal hangers. We hope this information will be of help to you. Love my hanger storage rack and can get 30 plastic hangers on it. It's a handy gadget that I have on the wall right next to my clothes dryer. Using the size hangers shown in the picture, approximately 30 of the thinner tube. Less if you have the larger tube hangers. I have had as many as 25-30 on the rack, with room for more. With two of us using it, I found one was enough. Good product. Mine hold 30. I bought 2. How many hangers will this accommodate? BEST ANSWER: Thank you for your question. This will fit 30 plastic hangers or 100 metal hangers. We hope this information will be of help to you. The hanger storage rack, which I purchased from Walter Drake, holds approximately 35 tubular hangers. 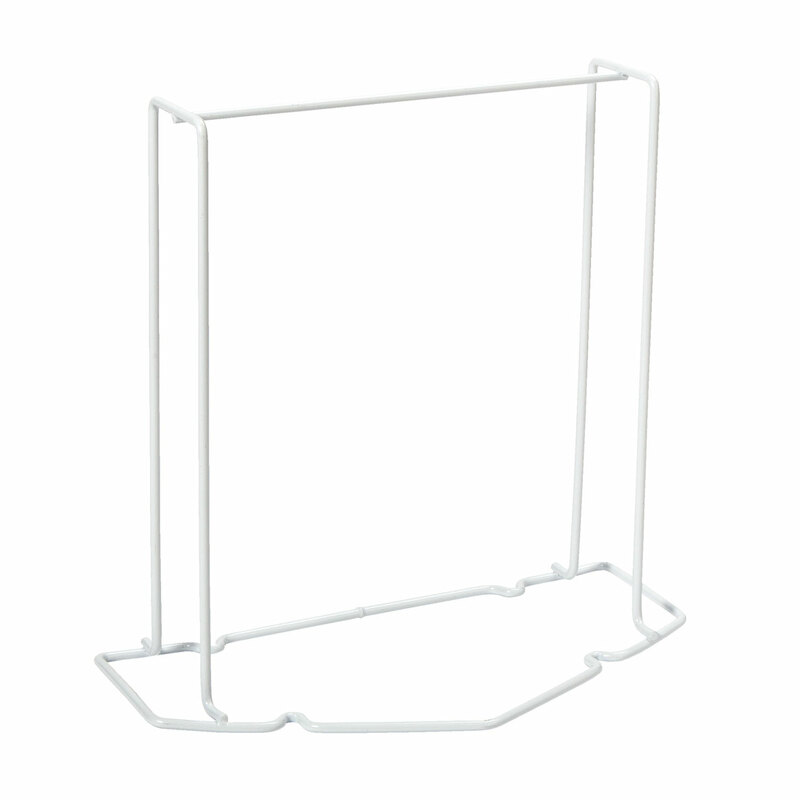 Can you use this holder for 17” plastic retail hangers with a chrome hook? BEST ANSWER: No. 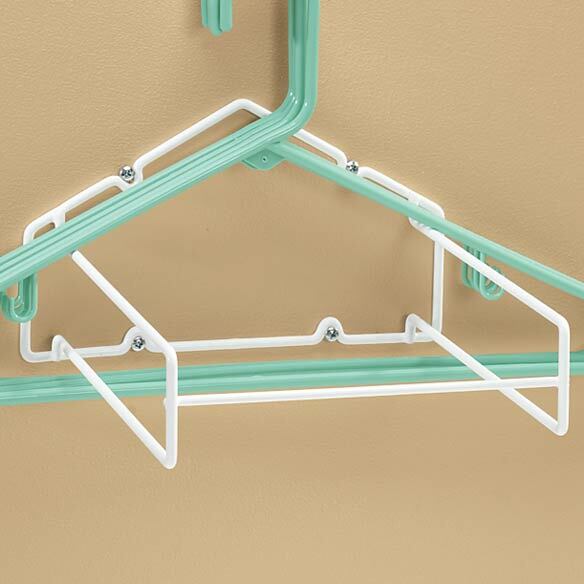 It only fits the tubular type hangers like are show in the product image. Because the hangers go AROUND the rack. Can it be used for the straight, clip hangars? BEST ANSWER: Thank you for your question. Unfortunately this item can only be used on standard plastic hangars. We hope this information will be of help to you. Does this come in one piece, or do you have to put together?